Tamkin & Hochberg, LLP is a law firm located just off I-90, the Massachusetts Turnpike, a few miles west of downtown Boston. The firm’s practice includes business and corporate law and transactions, commercial and residential real estate, tax, estate planning, trusts, probate administration and civil litigation. Tamkin & Hochberg, LLP is pleased to announce that its two managing partners, Jonathan D. Tamkin and Andrew S. Hochberg, were both named to the 2018 edition of Massachusetts Super Lawyers® each in their respective primary practice areas. Jon Tamkin was recognized by his peers in the area of real estate law and Andy Hochberg in tax law. From title issues to the negotiation of complex industrial and retail leases for small and AAA tenants, to zoning and land use permitting, construction and developments issues, and tax counsel in the ownership, acquisition and disposition of real estate, Tamkin & Hochberg offers a far ranging real estate practice. The firm represents buyers, sellers, developers, tenants, landlords, banking institutions, mortgage lenders, developers, condominium associations, contractors and construction firms with foresight, vision and excellence. Tamkin & Hochberg’s estate planning department provides counsel to individuals and small business owners on estate planning matters including gift, estate, and generation-skipping transfer tax planning; charitable giving, the structuring of ownership and preservation of sole proprietorships and family-owned businesses and property, probate avoidance, and other estate planning strategies. Tamkin & Hochberg assists individuals in establishing trusts to effectuate an efficient management and disposition of assets and counsels trustees in connection with their fiduciary duties. Tamkin & Hochberg, LLP offers legal and tax counsel to small and medium sized businesses without in-house counsel. Years of corporate experience in business and strategic planning as well as business litigation ensures that the lawyers at Tamkin & Hochberg are able to handle the vast majority of the matters for which a business may require legal assistance quickly and professionally including corporate formation and governance and a variety of business transactions, such as asset and stock purchases and sales, shareholder, partnership and limited liability agreements and corporate finance and lending. Probate and Estate Administration describes the legal process to transfer the title of assets owned by a deceased loved one. Tamkin & Hochberg routinely provides counsel to clients seeking a guide to navigate the complex probate court systems in Middlesex, Norfolk, Suffolk, Essex, Plymouth, Barnstable and Bristol Counties. Tamkin & Hochberg also represents individuals in probate litigation such as will contests and actions to enforce or reform a trust. Tamkin & Hochberg’s ‘s litigation practice represents clients involved in all forms of civil disputes, including business, construction and probate disputes as well as in employment, real estate and zoning matters. 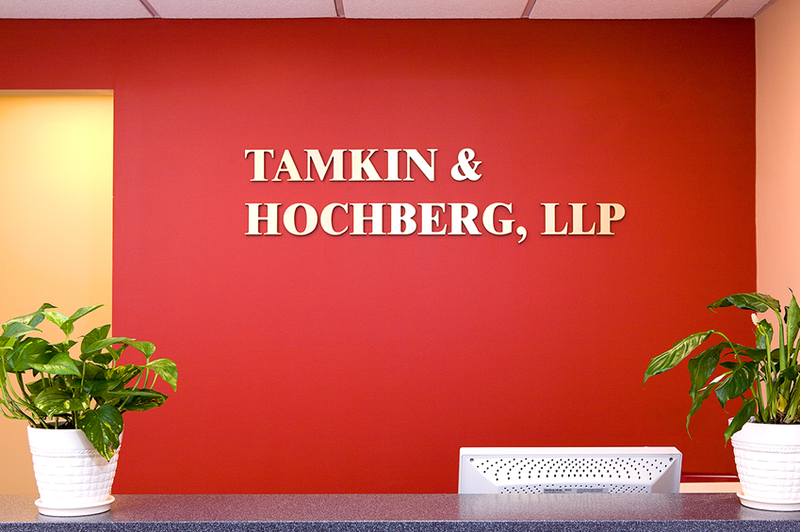 Tamkin & Hochberg, LLP was founded in 1995 by Jonathan D. Tamkin and Andrew S. Hochberg. Robert P. Joyce, Jr. joins them as a partner and the firm is also served by associate attorneys Peter Farrell, Larisa Freyman and Kristi Panduku as well as by Andrew C. Gately and Kimberly Rainen, the firm’s Of Counsel. The firm’s clientele is widely varied – ranging from international corporations to local businesses and individuals. Tamkin & Hochberg, LLP represents Control Consultants, Inc. in its acquisition by Kele, Inc.
Jonathan Tamkin Speaking at the Beacon Equity M&A Elements Conference on Internal Due Diligence during the Sale of a Business.